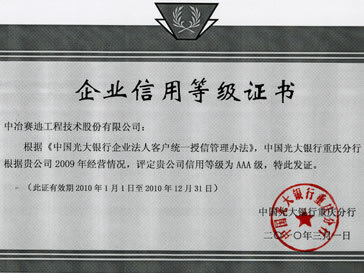 Granted Grade A, the highest engineering qualification by China Ministry of Housing and Urban-Rural Development, which is only owned by 30 enterprises in China. 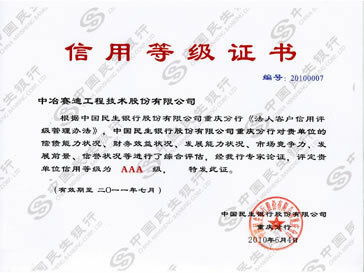 AAA Credit of China Minsheng Bank, AAA Credit of China EverBright Bank; total credit extension line amounting to $20 million. 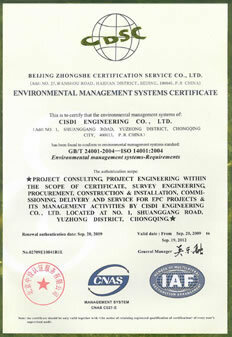 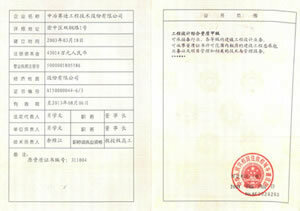 In 1996, CISDI received GB/T19001-ISO9001 certificate. 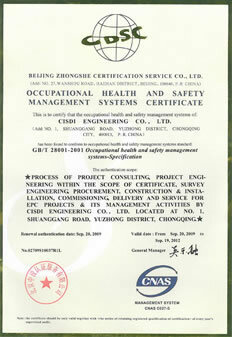 In 2006, CISDI has been awarded GB/T19001-ISO9001 again, as well as GB/T24001-ISO14001, GB/T28001-OHSAS18001, and Occupational Health and Safety Management System Certificate.